Providing Earthmoving equipments on hire, in house operation of Power Plant, Steel Plants, Material handling contractor and transporter. Supply of spare parts for earth moving equipments. 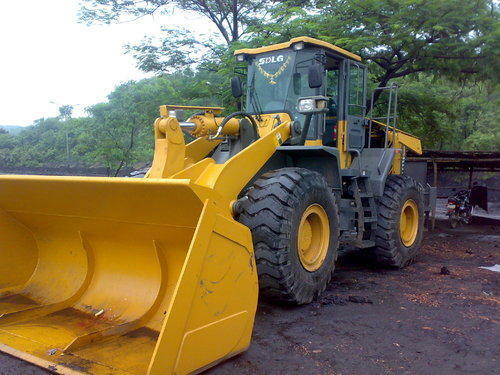 We have a large fleet of earthmoving equipments i.e. Payloader, excavator, dozer, grader, compactor, dumpers, drill and backhoe loader to tackle the complete job of ferro chrome plants, steel & power plants. We can take the job of earth work in road, railway and canal projects up to any volume. Wagon loading and transportation of minerals / ores from mines to surface i.e. Coal, iron, lime stone etc. Engaged since 1995 in the field of Ferro Chrome Plant Operation by engaging Earthmoving Equipments and Man power to handle Finished Products, Hot Metal-Slag. Wagon Loading - Transportation by Mechanical Means. Earth work in Road, Railway, Canal and area grading in New Plants/Industries.